Successfully Added Foldable Silicone Piano - 49 Keys, 8 Tones, 6 Demo Songs, Adjustable Volume, 3.5mm Audio Jack, Lightweight to your Shopping Cart. This lightweight silicone piano is a great gizmo for children and primary school students who wish to learn how to play the piano. Thanks to its silicone body, this piano can be easily rolled up. Not only does this make your piano easy to store away when not in use, it also makes it extremely portable. Simply roll it up, and you’ll be able to carry it along anywhere you go. This foldable silicone piano is sure to enhance your child’s understanding of music and capabilities to play the piano. With its built-in speakers and 3.5mm audio jack, this piano lets you either play songs out loud or practice quietly by using your headphones. This silicone piano comes with a total of 49 keys. Through its tone keys, it allows you to select up to 8 different tones. The piano furthermore comes with 6 preinstalled demo songs that allow your child to easily play along in order to get a basic understanding of playing the piano. Your cool gadget is powered by 4 AAA batteries and can additionally be powered through its USB port. 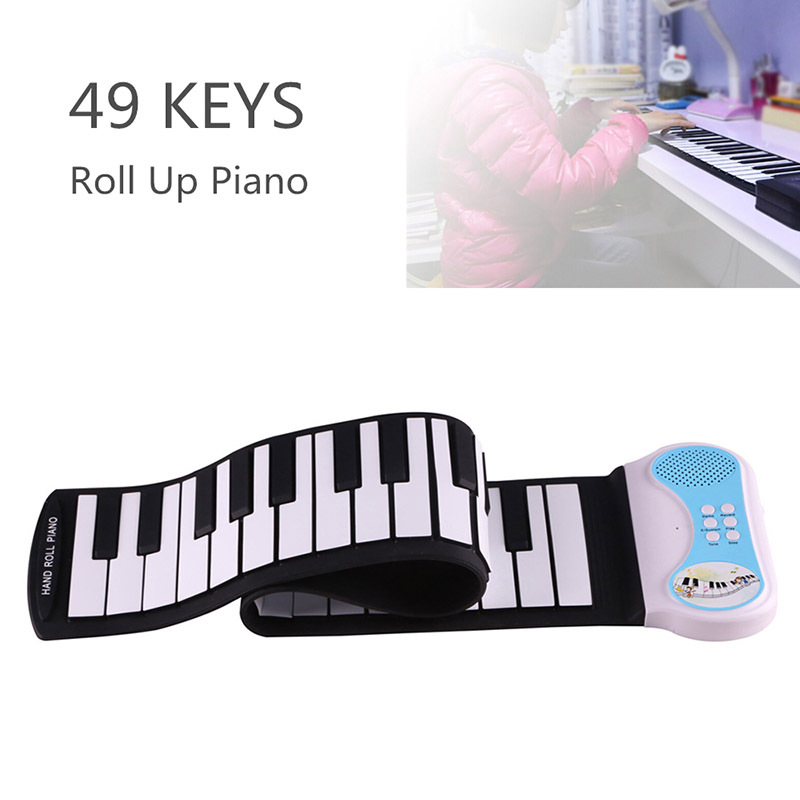 Thanks to this, your child will be able to play the piano throughout the day without ever needing to worry about battery life. The foldable piano features a power saving design that automatically shuts down when nobody has played it for 3 minutes. This foldable piano comes with a 12 months warranty, brought to you by the leader in electronic devices as well as wholesale electronic gadgets..